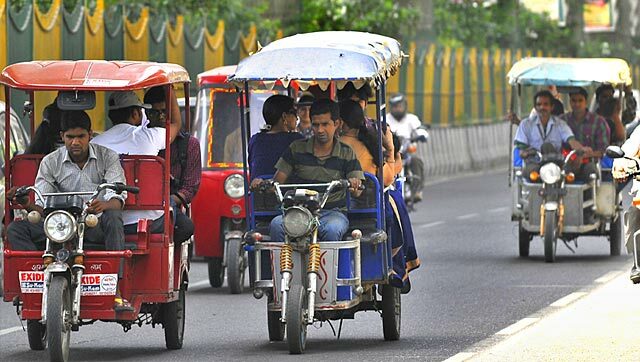 The eco-friendly e-rickshaws will now ply as a legal mode of transport on city roads. For the public, it means another option for commuting besides auto-rickshaws, tempos and buses. Though battery-powered e-rickshaws were already plying on many routes, they were considered unauthorised as they were not registered with the regional transport office (RTO). The Union ministry of road transport and highways has issued a notification making e-rickshaws as a motorised transport to be regulated under the Motor Vehicles Act. As per report published in Hindustan Times, the three-wheelers, which run at a speed of 25kmph, are fast emerging as an eco-friendly substitute to vehicles run on petrol, diesel and compressed natural gas (CNG). Consequently, in its advisory issued on June 9, the Centre has included the Greater Mumbai region, which so far banned the three-wheeler, on the list of cities that are allowed to introduce the facility. This effectively means the regional transport authority can register and issue permits for the vehicles. “The e-rickshaw will certainly reduce the noise pollution, but it has to be enclosed,” said Ashok Datar, member of Mumbai Transport Forum. Currently, around one lakh three-wheelers operate in the eastern and western suburbs in the city. Apart from Greater Mumbai, introduction of e-rickshaws has been permitted in Nagpur, Nashik, Pune and Mumbai.